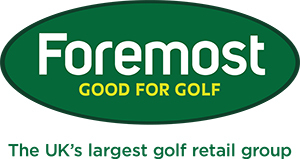 This week I would like to ask for your help, please can you spare a little time to complete our Annual Equipment Survey, at this time of the year we are thinking about what brands to stock in the shop next year - we are always striving to give you the best possible service to help your golf game and as such we want to make sure that we stock the brands and equipment that you are most interested in and want to see. Completing the survey will take just a few minutes and it will give us vital feedback about the best way to stock the shop next year so that we can offer you the best possible service. As an added incentive we will enter everyone's name that completes the survey for Hartford Golf Club into a special prize draw to win a dozen Titleist Pro V1 golf balls worth £45 ! Not only this but everyone will also be entered into a national prize draw to win a three night golf trip to the PGA Cataluyna Resort in Spain. Matt hits a hole in one in the dark! We held our annual night golf challenge last Friday and we think we have had a first in the golfing world - Matt Zak was playing the second hole and managed to score a hole in one in the dark! I am sure this has never been done anywhere before and Matt who is a single figure handicapper has now had an amazing five holes in one, this was obviously his favourite one so far. The whole event was great fun with laughter in the dark being heard all around the golf course whilst a drinks buggy kept all the golfers well hydrated! One of our members, Dan Newton and his friend also had a tumble in to one of the ponds whilst trying to retrieve one of their illuminated balls, here they are absolutely soaked! Thanks to everyone that took part in the night golf and I am sure we will be having another one early in the new year as it is such a popular event. End of season SALE starts on Saturday! Our end of summer SALE began last Saturday and many of you have already snapped up some of our bargains. If you haven't had a chance to call in to the shop yet please try to do so as it is our biggest SALE of the year and many items are at least HALF PRICE or better. It is impossible to list all the sale items so please call in to the shop and have a look around, but be quick as everything will soon go!! No-sew technology minimises chaffing and a 4-way stretch system in the shoulders and arms eliminates restrictions during the swing. A woven, stretch knit laminate combination provides a quiet garment during the swing and a sweater-like feel for comfort and protection. Adjustable cuffs help you custom fit the jacket to reduce potential distractions at address. The breathable jacket also has a 100% waterproof protection with a LIFETIME guarantee. But don't just take my word for it, courtesy of Nike we have a trial station in the shop with jackets that you can wear on the range whilst you hit some balls, I am sure that you will be impressed by the freedom of movement you can have whilst swinging in a jacket that will also keep you dry. Call in now to give them a go, you will be impressed!! "The fourth hole can seem quite straight forward when you look at the scorecard but remember it is a right to left dog leg whilst about 90% of golfers hit a left to right shape on their shots, which is completely the opposite direction to the way you want to go on this hole! Therefore unless you are one of the few golfers that normally hit a draw shape to their tee shots I want you to play safe on this hole and use a two shot strategy to reach the green, think from the second shot back - for example if your favourite yardage for an approach shot is 80 yards this means that you want to aim to hit your tee shot in the region of 175 yards. 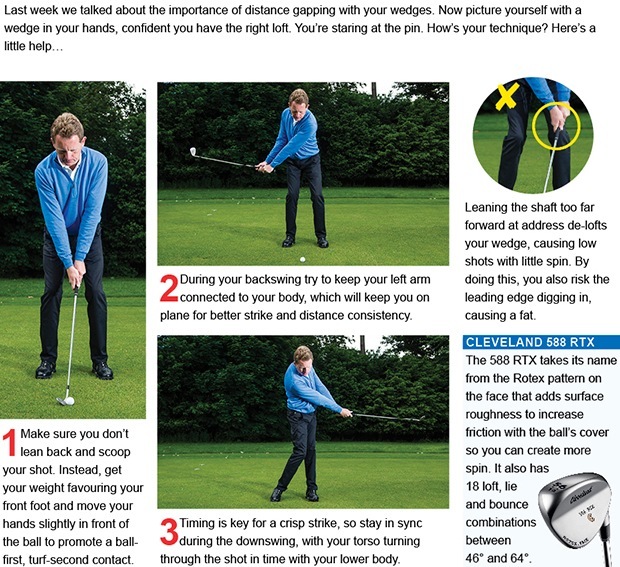 Once you have picked the club to use from the tee I want you to again be very specific with your target on the fairway, you will be more accurate with this approach than just hitting a shot aimlessly in the general direction of a fairway, remember that there is more room on the right side of the hole than you can see from the tee and also this side will open up your view of the green for your second shot. When playing your approach to the green take enough club to carry the small bunker front left, one rule I always use is to not go straight for the flag if it is near the edge of a green, if the hole is cut central you can be a bit more aggressive as you will have more green to play with. As the fourth green is relatively small if you hit the middle of the green you will never be too far from the pin. One vital element of good golf is that you need to know your yardages, I have never known a good golfer who doesn't know their club distances! I use a Bushnell range finder which gives me extremely accurate yardages, GPS watches are also very popular and in my view they really are indispensable - you will soon get a better idea of distances that are more comfortable for you and how far you hit every club, I assure you that this will help your golf game immeasurably. When you finish the hole take a look back as you are walking away from the green this gives you a different view of the hole and it may show areas where you could improve your strategy the next time you play, as ever let me know how you get on"
There was a good turn out for the September Medal on Saturday, this was the last chance to qualify for next week's Hartford Masters and, as such, everyone really seemed to raise their games with some very low scores coming in. The best score came from 13 handicapper Antony Green who returned a fantastic nett 59, he played a solid front nine but really came to life in his last seven holes when he fired two birdies and five pars to shoot a gross score of 72 - easily the best gross score of his career, his handicap has now dropped to 11. Dave Johnson came second with a nett 63, he also had a great back nine playing it in one under par with two birdies, in third place was in form junior member Joe Wilson who also scored a nett 63 including three birdies, his handicap has been reduced to 9. Because Antony and Dave had already qualified for the Hartford Masters the last remaining place in the 24 player field went to young Joe - The Masters is coming up this Sunday at 12pm. The best of luck to all the players involved! It's that time of year again when Head Greenkeeper Andy and his team carry out some essential maintenance work on the golf course and, in particular, the greens. For a couple of days next week you may notice them carrying out work on the greens such as verti-draining and micro-tining. They need to do this in order for the greens to be well established for the winter weather and to keep them in tip top condition all year round. As you know our golf course is always in great condition with all the greens in play all year round due to this maintenance work - so the greens may not be at their best for a few days next week but this means that they will be in good condition throughout the winter and we will not use temporary winter greens like a lot of other golf courses do. You can still book your child on to these sessions by contacting Adam on 07702736896 or you can contact me by clicking here. Evelyn Vass had one of her best rounds of the season on Sunday to score 46 points in the Ladies Sunday Stableford, her scorecard included a fantastic total of five birdies including back to back birdies on holes 16 and 17 and she even had a blob on one hole! Evelyn has had a great season with her handicap dropping from 17 to 13 in the last twelve months. In second place was Kath Hough who also played really well in scoring 41 points including a birdie on the fifteenth hole, third place went to young Katie Pickering with 33 points. The next ladies competition is an 18 hole Stableford on Thursday 25th September at 9am. The Seniors played their Club Championship this week and the winner was Steve Denne, he scored a brilliant total of 46 points with a front nine total of 26 - amazingly Steve didn't even score on the last hole! You can see him below collecting the trophy from seniors captain Graham Bower, I reckon his good play had a lot to do with the new adidas shirt he was wearing that he purchased in our sale! In second place was Roy Strefford on 42 points and in third place was John Sykes on 41 points. Also photographed is Graham on the first tee with playing partners Peter Earlam, Paul Frost and Bob Bowen. The Seniors also played a team match at Walton Hall last week, the result was a 3-3 draw which was a good result away from home and captain Graham Bower said a great time was had by all. It's not just tour players likeBubba Watson who are getting the most out PING's new G30. The latest series of woods from PING are proving to be a big hit with club golfers; the crown turbulators helping to generate faster clubhead speed for longer, more accurate tee shots. 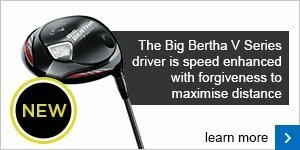 The new Big Bertha V Series driver is super lightweight and is designed to help maximize distance for players who are looking for more speed. 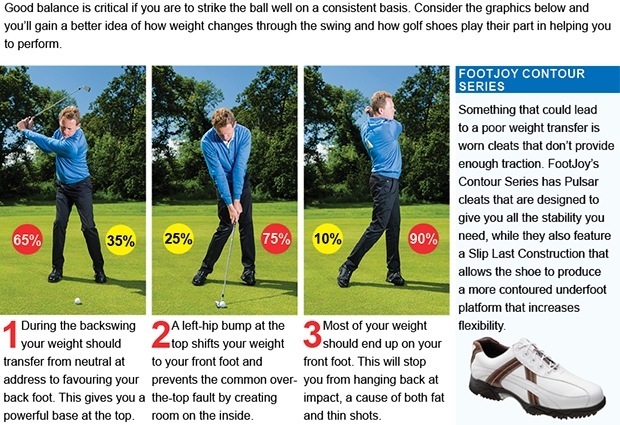 Far from being aimed at just those with slow swing speeds, it has also proved a big hit on tour.